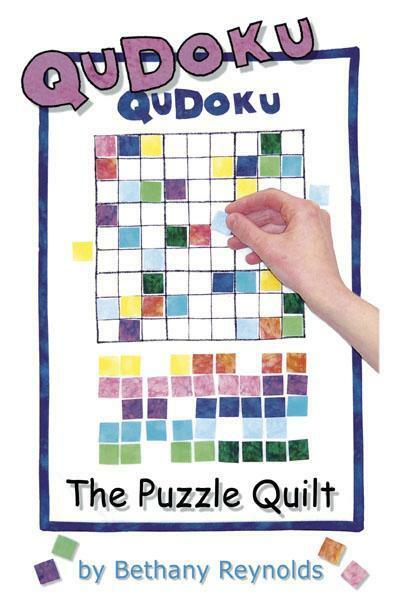 inklingo Handbook and AAQI, pages 81-83	Quilters (and their husbands) Are SO Creative! Am, that is not such an odd way to approach Sudoku.. I do it the exact same way, even writing down the numbers that I have all nine of so that I can just glance up and say “already got those”. And I also found the writing the “possible correct numbers” in each square very messy and confusing”. I think this is an example of how everyone needs to find their own way of doing things. We are pretty unique beings, why should we all do something the same? If it works….it works! That’s just our creativity coming out in not so creative things! Keep up the great blogs and newsletters! I really enjoy hearing what your creative little mind is thinkin’ about! We all need puzzles to fill in the cracks in our brains! I play FreeCell and Spider on my laptop desktop, as well as on my PDA (for when I am on the subway). With FreeCell I repeat the game until I win it — good for pattern recognition. I’m extravagent with Spider. If I lose, get a new one! I am still not comfortable with Sudoku, so Ami I will try your method. You can play Sudoku and other games for free on the AARP.com website, even if you aren’t 50 or over! Oh! nothing to do with math? I might give it a try then. I don’t know they always seemed boring to me, however must be good for our brain! I start out working the puzzle with a PEN. I fill in as many numbers as I can and then switch to a pencil. At that point I use the “what are the possible numbers” method. I, too, have learned to “let go” when I don’t get it figured out. I love your newsletter and blog. For the past year, my mother has been in a nursing home with dementia. Neither my sister nor I were able to keep her with us in our homes. Your writing about your mom has been so comforting for others of us dealing with the same situations. Thank you! I have done several QuDoKu’s, using batiks, but more often than not – those fun novelty childrens fabrics. Did one with the “Finding Nemo” characters as the fabric coveniently had the nine different blocks alread in 4″ ( I think ) squares and enough repeats in one yard to make several which got sent to St. Judes. It’s really something I geting into overdrive doing once the “pattern” is established and on my design wall and really lets me ponder what I’m going to create next! Say Aloha to Madison will you? you can also do sudoku online at http://www.websudoku.com — they have several levels of difficulty, and you can set the options to allow you to fill in several numbers in a box until you’re sure which is the right one. Now that I’ve been playing online, I find it much harder to play with pencil and paper! Ack! I am toooo stupid to not only do Soduko but to properly do a soduko quilt! LOL! April 14 2007 on my blog shows the soduko quilt I made a friend. I even messed IT up! I stick to crosswords and word jumbles! My day isn’t complete unless I’ve done at least one suduko. However, I can’t “let go”. I print off grids that I made through Word tables, then fill in the starting numbers and go from there. I’m looking for the unsolvable puzzle! Have you ever wondered how many times we’ve done the exact same puzzle? I am in Florida helping my sister care for mom and dad. Mom has been diagnosed with dementia/alzheimer’s and we have been playing the easy sudoku. I guide her along and she can figure out the numbers. She knows to look up and down the rows and she counts 1-9. We have also been doing some quilting. She helped to cut out fused pieces, decided which ones to put together on a 16″ square, and is now doing a modified blanket stitch around the large pieces. I will put these squares together once I am home into three quilts for her sisters and brother. She is doing pretty well!